After a painful stint attempting to complete all my pinning manually, I realised I could not manage without a Pinterest scheduling tool. Brief research indicated the two most popular and feature packed tools were the Tailwind app and BoardBooster, so I tried them both. 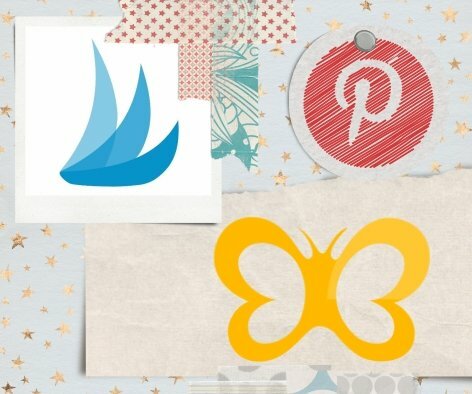 In this review I attempt to discover which is the best Pinterest scheduling tool: BoardBooster vs Tailwind App - I quite literally can't decide. Before I start singing Tailwind app’s praises, I need to level with you. At times, especially when I am using the Tribes feature, it feels like I’ve been transported back in time and am connected via a dial-up connection. It can be s-l-o-w. But, and this is a huge but, the functionality is so good, I’m willing to work around the pace. And I given how cool the Tailwind Tribes feature is now, in the relatively early days of development, I’m excited to see what will be possible in the future. What Is A Pinterest Tribe? Tailwind tribes work a lot like group boards. You are allowed to share your content to the tribe and in return you must share content from within the tribe. In doing so I currently put each new pin into around 20+ tribes - so that’s 20+ more opportunities for it to get picked up by other people. And then I spend one afternoon a week scheduling bucket loads of content from the tribes. This content goes into the Tailwind scheduler, rather than just being dumped into Pinterest in one lump, and is gently drip fed to my Pinterest account throughout the week. Pinterest Tribes aren't exclusive to Tailwind App. The Boardbooster Tribes feature was launched before the end of 2017. But it doesn't work in the same way - there are far more restrictions on the volume of pins you can post, and I'm still getting to grips with it. Another blog post will follow soon. How do I find new Tailwind Tribes? Just a few weeks ago when I first started using Tailwind, the only way to find Tribes was to search Google, click through lists in blog posts, and hope the invite requests work. It was slow, boring, time-consuming and often frustrating due to a large number of dead links. But in the last few days Tailwind have launched a Find a Tribe function which is quite literally the bees knees. It still suffers from a slow load up time, but you can now find Tailwind Tribes to join so much more quickly and easily. What I love about the Tailwind Tribes dashboard is that when you look at the pins available in the tribe you can see a small icon (a flame) with a number indicating how many times this pin has been shared on social media. If you hover over the flame, you get a breakdown across all the social media platforms. This has given me great insight into which pin graphics, sizes and headlines work best, helping me to up my game. So if I already love Tailwind App, and I do, why do I also have a subscription with BoardBooster? When I was researching Pinterest strategies one lady’s face came up time and time again. Raelyn Tan. She was so successful at appearing on my Pinterest feed that I realised she must know what she was doing. And she made claims I had learned to listen to (traffic and subscribers rather than just Pinterest stats). So I explored some more, and eventually bought her digital program Traffic, Subscribers, Yours. In it she shares techniques that use some of the rather nifty scheduling tools in Board Booster. I’m not going to share the details of those techniques, as that’s not fair on Raelyn.But I can say one is a fully automated hands-free way of keeping your bards fresh without deleting old but high performing pins, and the other is enabling me to make use of 20+ group boards, by posting a different pin to each of the boards every day - provided I’ve kept the schedule stocked. I couldn’t make do with Board Booster alone because although it does have a Tribes feature, it is very new and not yet very popular. So for now at least, I’m finding it helpful to use both BoardBooster and Tribes, rather than choose between them. Note: This post contains some affiliate links. This means that if you purchase a product after following the link, I may be paid a small commission, at no additional cost to you. In this post I have only linked to products and programs I use and value myself. Tailwind App vs BoardBooster review of best Pinterest scheduling tool, how to find Tailwind Tribes and a Tailwind App coupon if you want to try it for yourself.